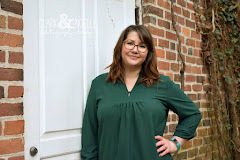 Yep, you heard right, I have books and bones on the blog today! It's time to review a few things! First up, dental chews from Chewy.com. They sent Ginny the grain free Greenies Dental Dog Treat. I tell you, when I say she couldn't wait until I opened the box, then the bag, and finally gave her one- is a major understatement. Girlfriend was drooling a huge puddle on my carpet before I could get the bag open! I've never seen her drool so much before! She gobbled it up so fast, so I know it's delicious to her. And since she is shedding her Winter hair, AND battling her pollen allergy, I was so happy that these particular bones were grain free because she also has an allergy to grain! The last thing this doggie needs is more allergy/shedding trouble! All in all, if Ginny could talk, she'd give these a 10+! 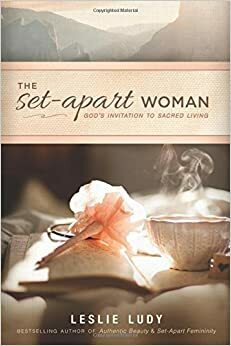 Synopsis: In The Set-Apart Woman, women of all ages will be encouraged to stay grounded in Jesus amid the many distractions and temptations of their daily lives. Biblical truths will help readers understand what it means to live the consecrated life, set apart for God’s purposes. Readers will apply these truths to practical areas of struggle that women face on a daily basis, such as sinful attitudes and patterns and other hindrances to our souls. My opinion: Give yourselves at least a good 2 weeks to 1 month for this, you will need it! This book isn't a light read, and it isn't designed to be so. It's going to get under your skin, and toss your life up in the air in the hopes that, along with your help- God puts the pieces where they need to be. And that's exactly what it did! It has taught me so much by pointing out what I've allowed to be wrong in my priorities and taught me what God wants for me, allowing me to put the pieces exactly where they need to be. I will sing the praises of this book to everyone who will listen! In words as wise as they are inspiring, Between the Dark and the Daylight explores the concerns of modern life, of the overworked mind and hurting heart. These are the paradoxical—and often frustrating—moments when our lives feel at odds with everything around us. Only by embracing the contradictions, Chittister contends, may we live well amid stress, withstand emotional storms, and satisfy our yearnings for something transcendent and real. By delving into the chaos, this book guides us through the questions that seemed easier to avoid and enlightens what has been out of focus. With her signature elegance, wit, and spirit, the bestselling author of The Gift of Years and Following the Path opens our eyes and hearts in these times of confusion. 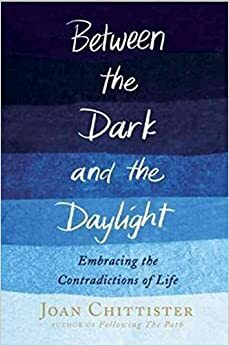 With simple and poignant meditations, Between the Dark and the Daylight reveals how we can better understand ourselves, one another, and God. My opinion: This was another heavy hitter book. Joan D. Chittister doesn't hold any punches when it comes to telling you how real God is. She will challenge you, but doing so in such an inspiring way that you feel many emotions in the same paragraph! Her style of writing is absolutely breathtaking, so allow some time to devour the sentences. Grab a pen and highlighter so you can make notes without skipping a beat! There you go! If you're looking for good for your doggie treats, or books that really shake up your faith, I've got you covered! What are you raving about lately?